This is why I love TJ Maxx: I found this short-sleeved, fake-wrap jersey BCBG Max Azria dress in a cute fall print — it’s actually called Fall Leaves Print — for $25. Yes, $25. I’ve had lunches that cost more than that. It’s flattering on my menopausal pear-shaped body, is the perfect length — not too short or too long — and is completely just right with sandals for our hot and humid early fall weather here in northwest Alabama. Plus, when it gets cooler (and it will get cooler, it will get cooler, it will …) this dress keeps going with the addition of turtlenecks and tights, our layering best friends. And the best part? 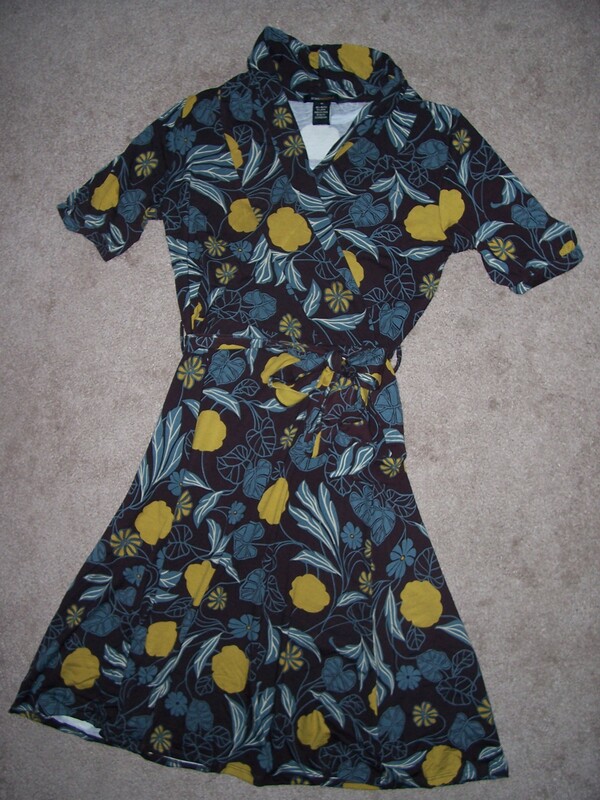 The original tag says “$240.” Even if this dress never actually sold for that amount, I feel as if I scored a bargain. This entry was posted in fashion, shopping, Uncategorized and tagged clothes, fashion, shopping, style by Coffee with Cathy. Bookmark the permalink. Girl, you did get a bargain. Love it. Thank you, but you know what? Carolyn was here today and saw me wear this dress to Sunday school and the next thing I know, it’s going back to Birmingham with her! Daughters!!! Thanks so much! 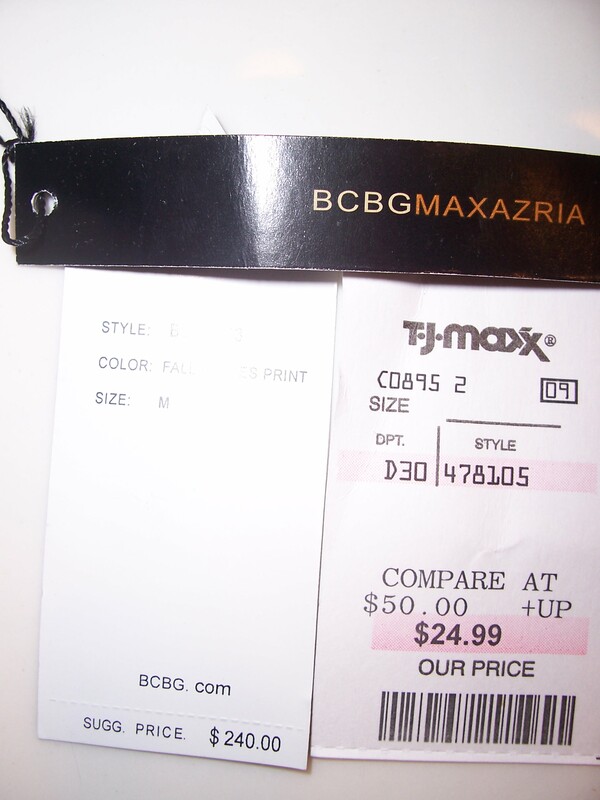 Lucky you to have a TJ Maxx right next to your house. I love going to different TJs to see all the different merchandise — it’s fascinating to see what ends up where. And Starbucks is right up there on my favorite places list, too!